What to do when the call doesn’t come? Imagine with me, it is graduation day. You worked for 3 (maybe 4, maybe more) long years wrestling with ancient texts, crafting papers and sermons, and studying and shadowing those already in the field of pastoral ministry. You have been screened, tested, and evaluated. You were found “ready” and have a freshly inked diploma and multiple forms and documents to prove it. You wonder if you should buy a robe or maybe a small communion set, you know, just to be prepared. And then…the call doesn’t come. And it doesn’t come. And it doesn’t come. By call I mean, the call to ordained ministry. In the Presbyterian Church (USA), the final step to becoming an ordained minister (teaching elder) is to be called to a pastoral position by a specific congregation or validated ministry and then be examined and received by the local presbytery (governing body). I became certified (eligible) to receive a call in the Presbyterian Church (USA) in the spring of 2007. Since that time, life has taken me on a much different path than I anticipated. For a variety of reasons (geographic, financial, caregiving) “the way has not been clear” for me to receive a call into ordained ministry. I would like to say that I am always OK with this ordination limbo-land that I am journeying through, but that would be a lie. And I am guessing the same is true for others who have found that their hopes, dreams, and plans have faced a different reality. So what is one to do? Today I want to share with you three ways in which I try to live into this chapter of my journey in Christian ministry and, yes, identify and claim my pastoral identity. In the Presbyterian Church (USA) we have a phrase that we use often, which is to remember your baptism. It is used to encourage Christians of the promise of the covenant of baptism, that we are loved and we are children of God. In the same vein, for those of us who are living this in-between time of post training, but pre-ordination, I urge us to remember our calling. As someone who isn’t a cradle Presbyterian, one of the major reasons I was attracted to this Christian expression was the belief in the “Priesthood of All Believers.” God has called each one of us to live a life that shares the love of God and the gospel of Jesus Christ. This calling does not need a Rev. in front of your name. While we may not be pastoring a particular congregation make no mistake, you are always a pastor to someone. I would argue that those of us who are journeying in this in-between have an opportunity to serve others in a unique way. As people with Biblical knowledge, we are a resource. As people with pastoral care training, we can see situations through a caring lens. Wherever you are and whatever job you are doing, you may be the only “pastor” someone has. In the past almost eight years, my congregations have been musicians, parents, toddlers, teens, and immigrant students. It has been an honor to serve them. I encourage you live into your communities and see how God uses your gifts and training to minister to many. I will admit that this last one is the hardest for me. When life doesn’t go the way you planned, it is easy to get stuck with the recurring questions of why not now, why not me? It is easy to get discouraged and disconnect. However, I would encourage you to work on staying connected. Read books like you read during seminary. Attend conferences. Worship regularly. Volunteer with a church. Seek out ways to preach whether in your congregation or in others. Pray. And importantly, stay connected to colleagues in ministry. One of my lifelines in my journey is a local group of clergywomen who have graciously welcomed me into their fold. At our monthly gatherings, we share joys and concerns and I learn so much about ministry from these women as we minister to each other. Some of my suggestions may come easily and some may be more challenging, but staying connected bolsters you through hard times and prepares you for future possibilities. In my current worshipping community, there is an individual who has taken extra interest in my ordination journey. Every time we talk, without fail, he asks me how I am doing in my discernment process. He does not know this, but his check-ins keep me in check and focused on the truth that pastoral identity is a continual discernment process. This is reminder I wish to give to you. We are always discerning our call. Remember that God is with us in this discernment and charges us to bring the ministry of the Gospel in all of our circumstances. Will I be an ordained minister someday? If the way be clear. Am I a minister of the Gospel today? With the Lord’s help, the answer is a resounding yes. 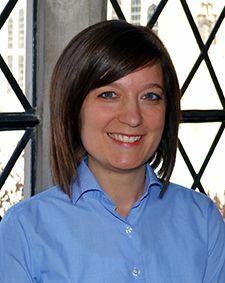 Jessica Hauser-Brydon is a partner, mother of 3, and candidate under care of the Presbytery of New Brunswick of the Presbyterian Church (USA). Currently she worships at Kirk In the Hills Presbyterian Church in Bloomfield Hills, Michigan, and works as an ELL Paraeducator in the Clawson Public Schools. You may connect with her on Facebook here, on Twitter at @jess_h_b and on Instagram. Thank you for this, Jess. I’ve been certified since spring 2004, and there has been no match yet. Not even an interview. For you and others in this situation, you might want to join the FB page I started, Still Seeking the Call: https://www.facebook.com/groups/stillseeking/?ref=bookmarks. Thank you, Jo Ann! I will head over to FB to check it out.